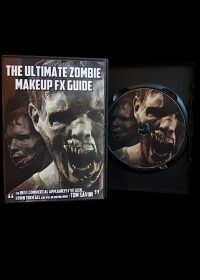 Zombie Makeup FX DVD Guide - The Ultimate Zombie 'How to' Tutorial! 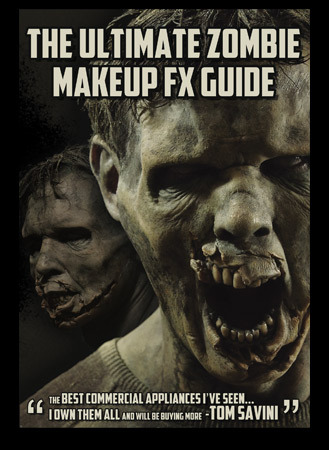 Nimba Creations has been producing online video tutorials for 4 years, bringing you all the tips and tricks Tom Lauten uses in the FX make up applications you see on our website. 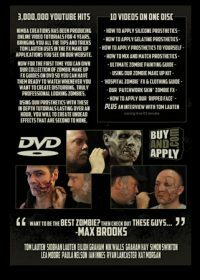 Now you can own our collection of tutorials in this zombie makeup fx dvd guide so you can have them ready to watch whenever you’re ready to create disturbing, truly professional looking zombies. Using our prosthetics with these in-depth tutorials lasting over an hour, you will be able to create undead effects that are second to none. For gore and casualty effects, try our Ultimate Wound Makeup FX DVD. 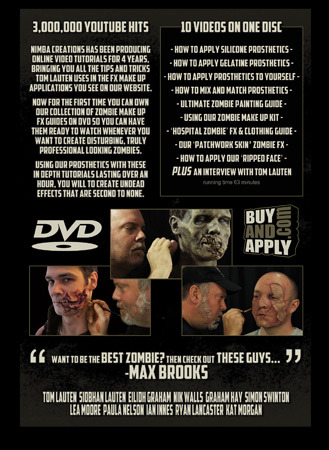 Includes; how to apply silicone prosthetics – how to apply gelatine prosthetics – how to apply prosthetics to yourself – how to mix and match prosthetics – ultimate zombie painting guide – using our zombie make up kit – ‘hospital zombie’ FX & clothing guide – our ‘patchwork skin’ zombie FX – how to apply our ‘ripped face’, PLUS an interview with Tom Lauten. Running time 63 min.